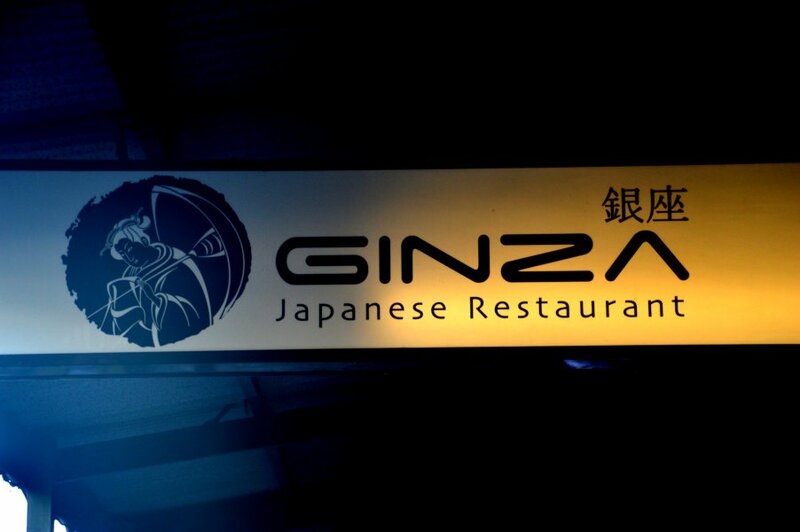 There are few Japanese restaurants that I haven’t been to in Adelaide, and Ginza was one of them. I’ve heard plenty of reports of how good their yakiniku (grilled meat) barbecue is, so I was here to try it out. The front of the restaurant is the formal dining section which looks quite modern and elegant. The barbecue area is out at the back where there are a series of charcoal grills. It’s best to make a booking at this place if you’re here for the barbecue and it’s important to note there are two types of seating. There is normal bench style seating and a more traditional type where the seats are at ground level and the tables are lowered into the ground. There are also two buffet options. There is $29.90 option where you get 50 distinct items to choose from. They call them dishes but I wouldn’t capsicum or onion a dish. Then there is the premium $39.90 option where you have even more items to choose from. There is a 2 hour time limit for eating from the time you book, and there is a $20 wastage fee if you order too much and can’t eat it all. My friend and I were feeling a little crazy tonight and we ordered one of everything off the $29.90 menu. The first thing that came out was the Assorted Kim Chi. There were 3 varieties; the traditional cabbage, cucumber and radish kim chi. 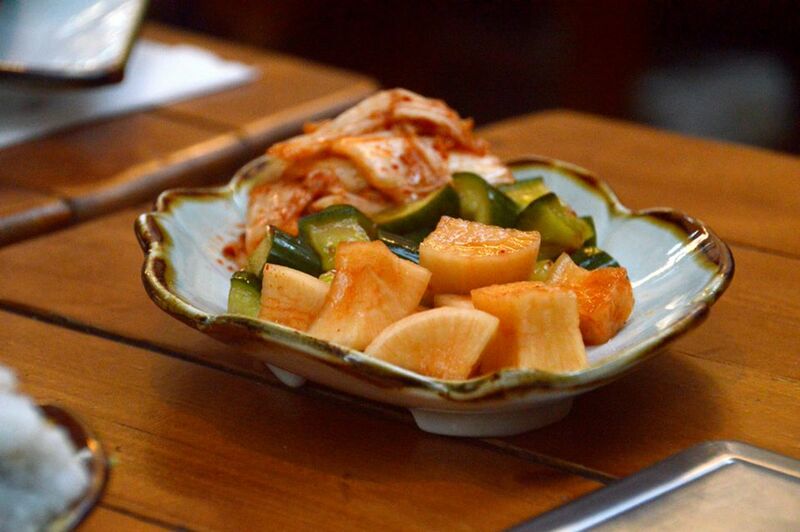 The traditional kim chi wasn’t as fermented as the Korean variety, but it still had sufficient heat. The cucumber and radish kim chi were both quite crunchy and I thought, weren’t as good as the traditional cabbage version. 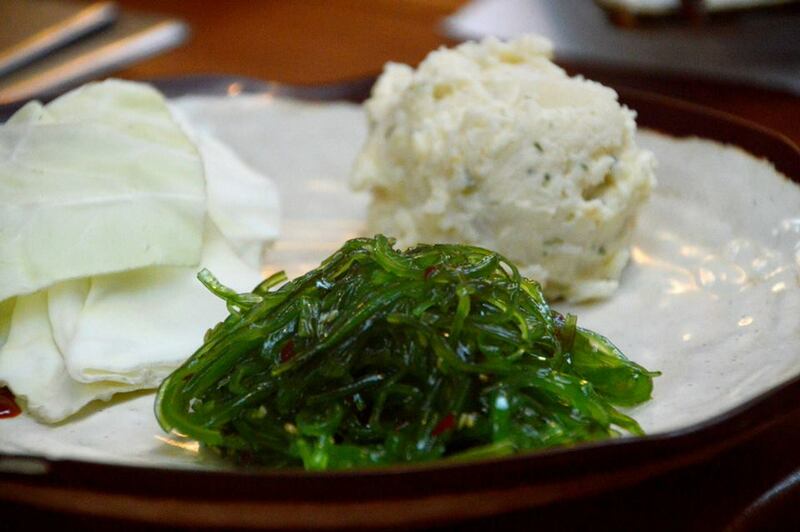 The Marinated Seaweed was quite nice and refreshing, while the Potato Salad contained individual pieces of semi-mashed up potato in tangy mayonnaise. Both were quite good. They had 3 types of sushi; Prawn Tempura, Teriyaki Chicken and California Rolls. The sushi was well made. 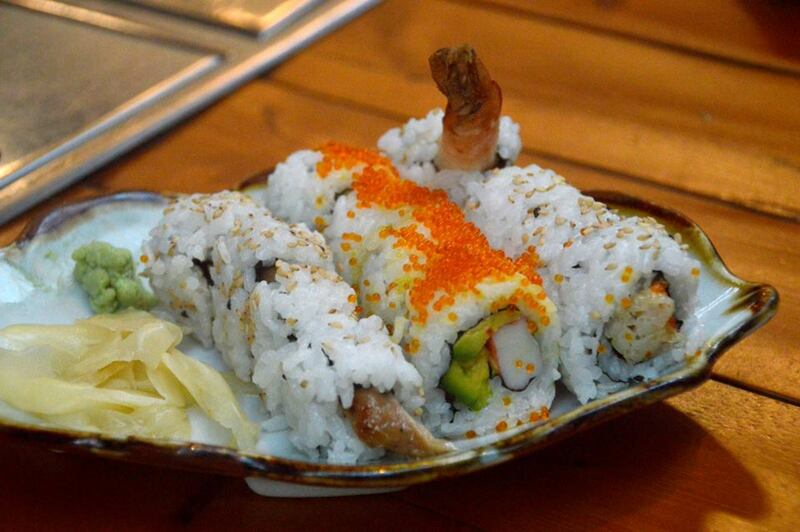 The sushi rice was soft and delicate while the other ingredients were of a good quality. 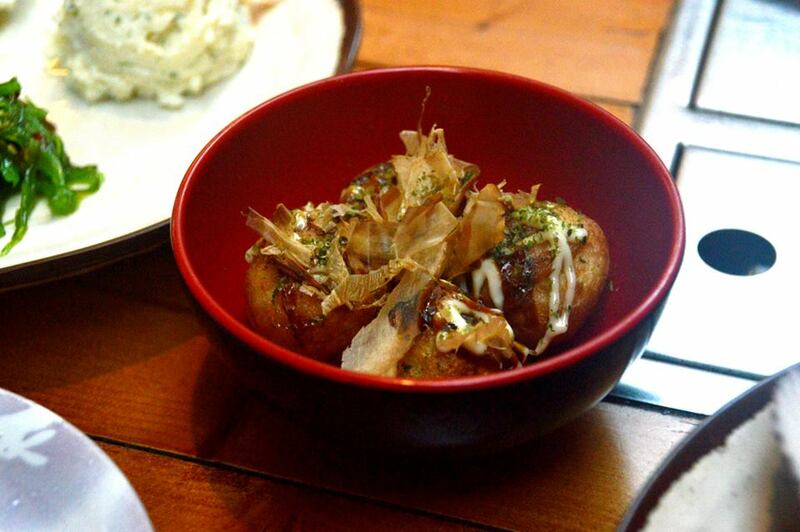 The Takoyaki was the best I’ve ever had. Lightly crumbed mash potato with a piece of octopus somewhere in the middle. Really well executed. 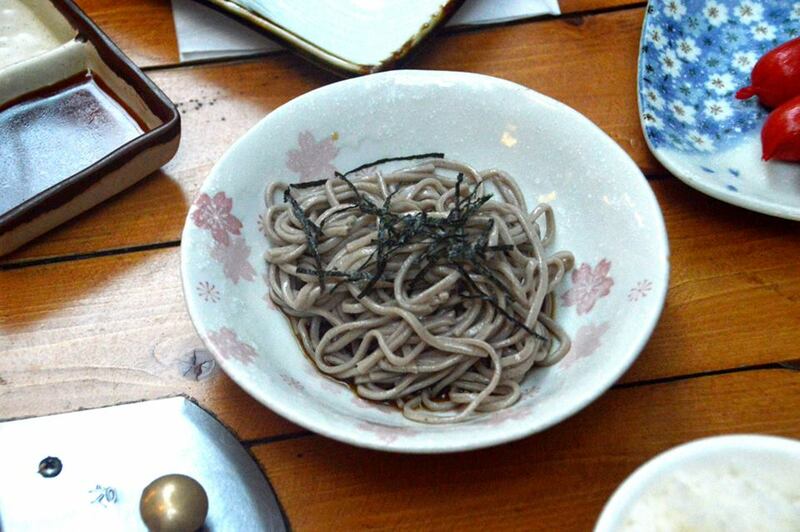 I didn’t have the Soba Noodles, but I was told they were very refreshing. 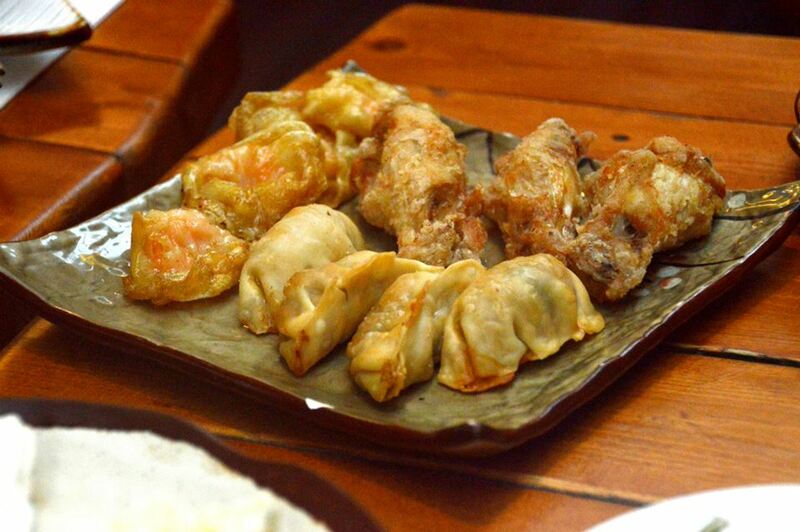 The Gyoza was really good and probably the best I’ve ever had. The dumpling skin was nice and firm, and fried to a golden brown. The filling was moist and full of flavour. The Prawn Wontons were nice but a bit on the oily side. The Karaage Drumettes were very well cooked. The chicken was soft and moist, while the crispy coating wasn’t too oily. 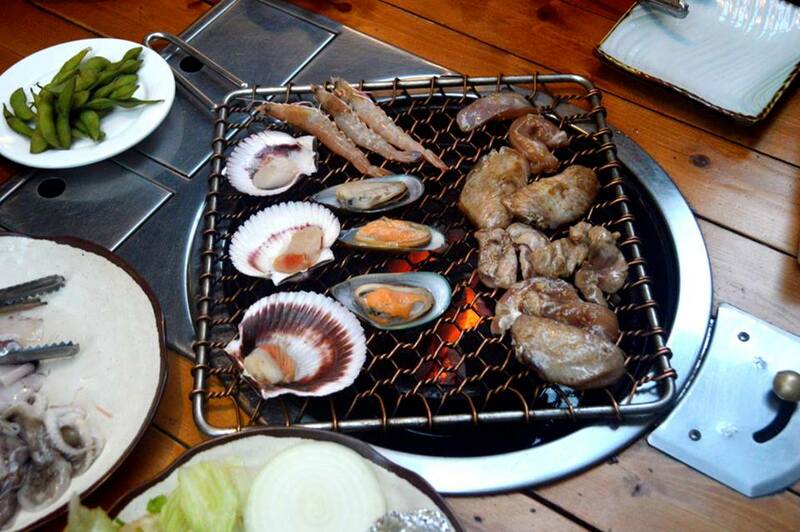 On top of all that, we had a range of meats and seafoods to cook on charcoal grill. At no stage during the 2 hours did the charcoal ever go out. The staff were friendly and welcoming, and the service was generally good. When we first arrived, we found a cockroach moving around in the subsection of the traditional seats. We requested that we be moved to the normal seating. Initially they refused because the normal seating was all booked out, but after some conjecture, they allowed us to move to the normal seating. All the meals came out rather promptly and the staff looked like they enjoyed working there. The atmosphere was vibrant, but it wasn’t too difficult to hear each other speak. 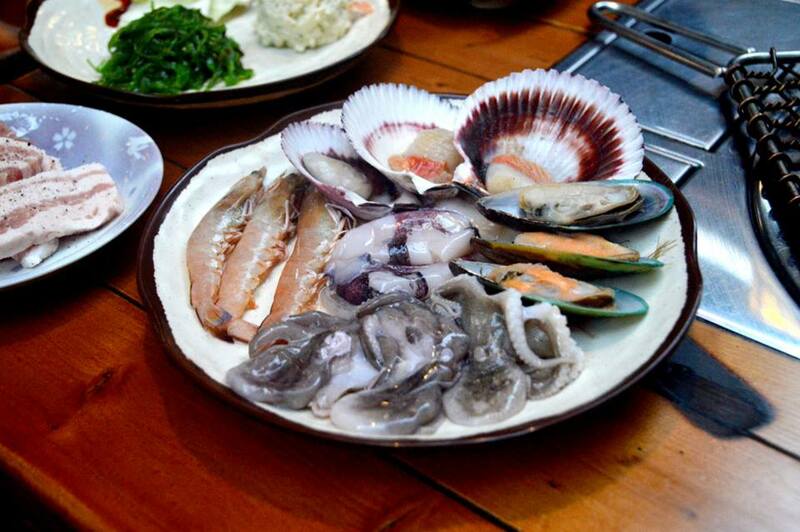 The pricing is more than reasonable considering the quantity and quality of the food you get. Most of the meats you cook yourself so you have no one else to blame if you get it wrong. Word of warning. Don’t come to the barbecue in your best clothes, in fact, come in clothes that you’re about to wash. You’ll leave the place smelling like your dinner. They do have fans that they turn on during the meal, but that only provides temporary relief. This place is actually quite good. You’ll see yourself rolling out of there after each visit. It’s worth trying out, even for the novelty factor.